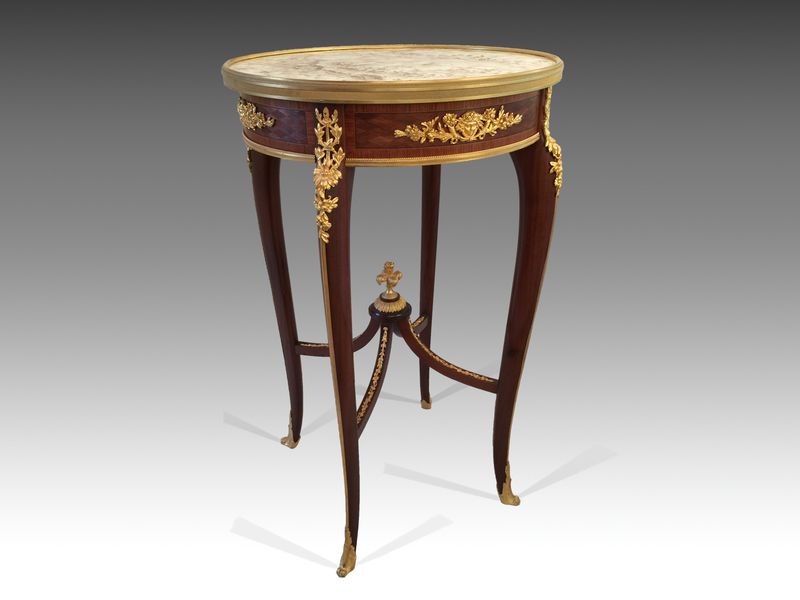 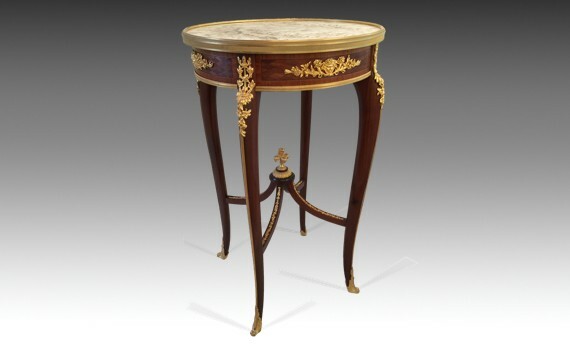 A late 19th century, French, kingwood, mahogany and gilt bronze mounted table ambulante. 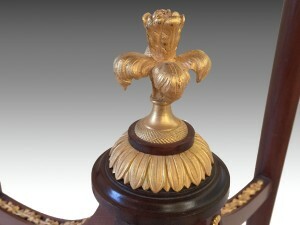 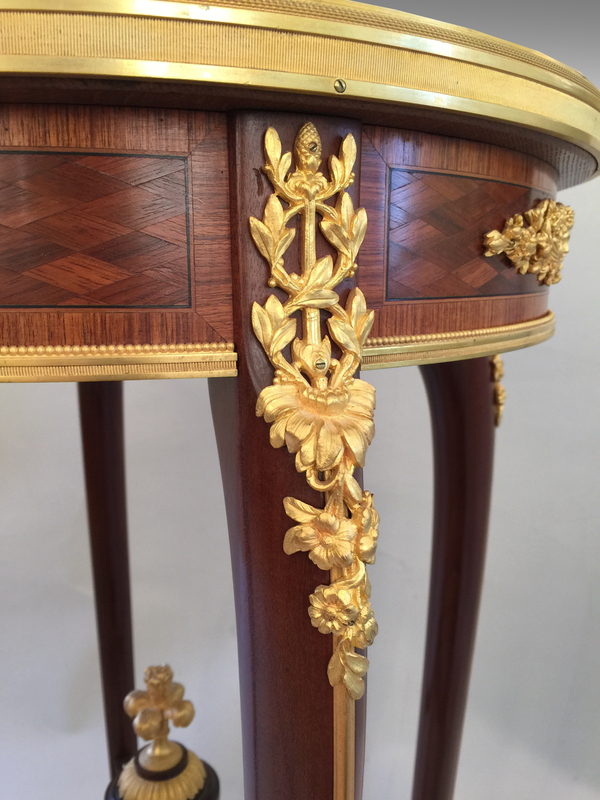 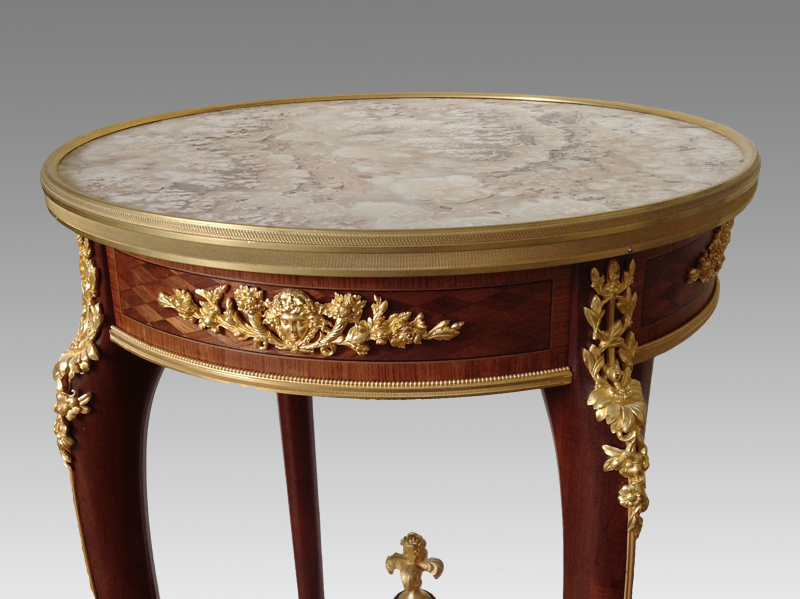 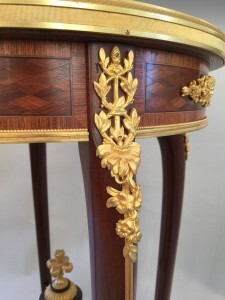 The circular alabastro ciliegino top inset gilt bronze frame, above a parquetry inlaid frieze centred by female masks, with single mahogany lined drawer, supported by four slender cabriole legs ending in sabots. The legs united by upswept stretcher with finial. 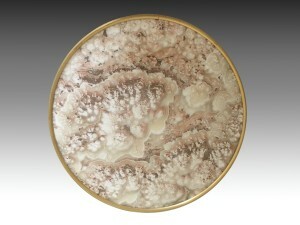 Original mercuric gilding. 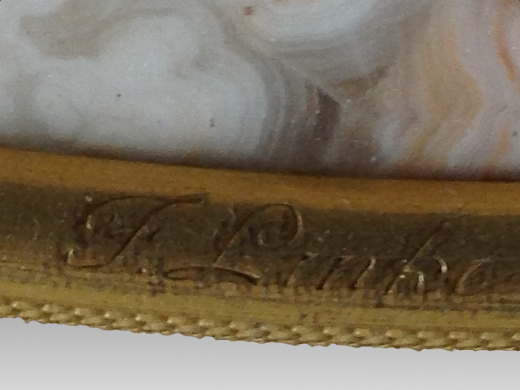 Signed F. Linke to top rim.